Caldwell now uses Cali Carting for recycling. The old 973-674-6266 Recycling Hot-line phone number goes to the former contractor, do not call that one any more. Garbage is picked up at the curb (not from the parking lot) every Tuesday and Friday morning. The large shed near the front of the building has three gray carts/bins inside for you to put tied garbage bags and large items that will not fit in a bag - use like a mini-dumpster for a mop, umbrella, box filled with garbage, styrofoam packing blocks, etc. Make sure you tie your bags closed so the contents don't spill out. Try to avoid putting sharp objects in there that will tear open the bags. Put broken glass in a paper bag or box, bend metal coat hangers inward, etc. Paper and commingled recycling is picked up by the contractor that the Borough of Caldwell uses, from the north-east corner of the parking lot on alternating Thursdays. One week paper, the next week commingled (cans & bottles). See the Calendar page if you would like to know which one is this week. As of January 2014, Caldwell uses Cali Carting for recycling (no more OCNJ). They empty recycing directly from the parking lot (but take garbage from the street). Beyond the large garbage shed is the smaller shed. That smaller one is where broken-down, empty, flat cardboard goes. Next to that is a tall blue recycling container for newspaper, magazines, and other recyclable mixed paper. If after reading through this information you are still not sure what to do with something, see the list below or contact us. Borough of Caldwell employees may not be aware of Caldwell House-specific recycling details, but you can always try them too. Blue commingled recycling containers - cans, bottles, recyclable containers made of plastic, aluminum, steel, etc. If the first container is full, rather than overfilling, use a different one please. If the lid won't close fully, the wind will blow things right out of there on to the parking lot. We have been unable to get a specific list of accepted materials, so assume that if it's a can, bottle, or container and it has a recycling logo on it, it's probably OK. If they can't recycle it at the recycling center, they will dispose of it. 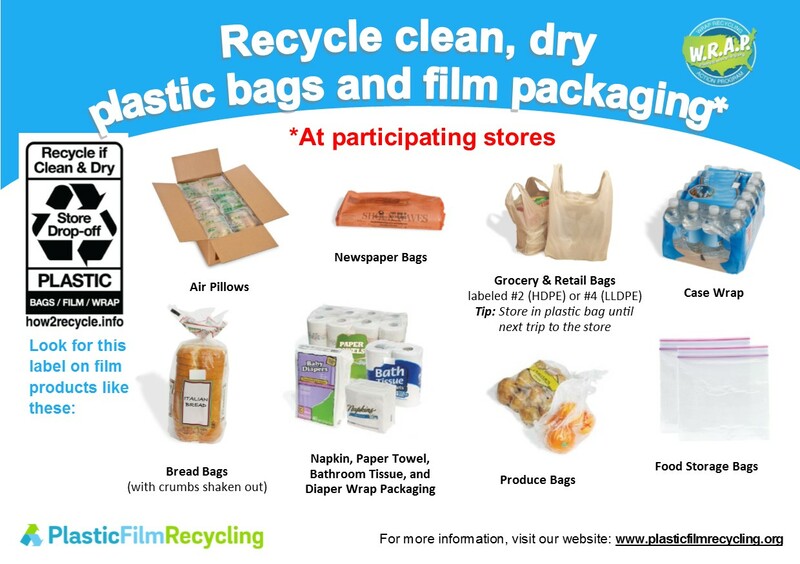 Anything that falls under the description of "plastic film" can be recycled, but not by Caldwell recycling. This includes air pillows, newspaper bags, grocery & retail bags (#2 or #4), case wrap (e.g. for a case of water bottles), bread bags, napkin, PT, TP, or diaper wrap packaging, supermarket produce bags, food storage bags (e.g. Ziploc bags). Go to how2recycle.info then Store Drop-off for more information. If the flyer for the next one is not here, Essex county usually posts it on their web site and as an ad in The Progress (the local newspaper), and the details will be posted on the Essex County Utilities Authority web site's News & Events page. Caldwell House: FAQ - What should I do with CFL (curly) bulbs? Metal items, appliances & tires need recycling stickers ($). Call 973-403-4635 (Public Works) for more information. This is typically not necessary for tenants as Caldwell House owns the appliances in your apartment, but - appliances with chemical refrigerant, like a window A/C or refrigerator, require recycling stickers to be purchased and placed on the item before they will take it. Tires require stickers as well. Caldwell Public Works 973-403-4635 (old νm;? 973-403-4640), or Caldwell Borough Hall 973-226-6100 for further info. If you can not wait until the next Bulk Collection day, contact us and we can give you the contact info for a waste removal company. It will not be free, but you will not have to wait. Caldwell does not have a town dump, so that is really the only alternative if you can not donate it, sell it, or recycle it. The day may change if it falls on a holiday or during a snow storm. If that happens, we will list it on the Calendar page. Caldwells Patch: Where Can I Donate Food to the Needy? This info is based on what we have experienced as tenants and Resident Managers. If you want the official latest answer on anything, contact the Borough of Caldwell (973-226-6100) and they will find out for you. Make sure you specify that you live in an apartment building, not a house. Garbage bags Make sure you tie them closed, then place in one of the gray carts in the large shed. If you have a large number of bags, like when doing a Spring cleaning or when moving in or out, place the bags directly at the curb on Monday or Thursday any time after 6pm. See Garbage above. Bottles, cans, plastic containers Rinse out then put in one of the blue recycling cans in the corner of the parking lot (next to the sheds) - see Recycling above. If you bring it out in a bag, dump out the bag, throw the bag away (or re-use it again). Christmas tree (real) Ask the Resident Managers for large garbage bags to put over each end (to contain the needles), place the tree (without the bags) directly at the curb, where the gravel is. This can be done for a few weeks after Christmas. Paint - latex Take the lid off, let it dry out completely (for days), then put the paint can in one of the gray carts in the large shed. If you can't wait for it to dry, look for paint hardener at Home Depot or Ace Hardware (or Amazon). Lists of recycling facilities for consumer electronics, carpet, lamps (bulbs), styrofoam, used oil, etc.